"Chewie" was the patriarch of Von's kennel. A near look alike of Balto, hero of the original 1925 Serum Run, Chewie was always counted on to take the helm when the going got tough. A veteran of Von's 2009 and 2011 Serum Run teams, Chewie was unfettered by the worst of conditions. The calm and capable leadership once possesed by this amazing Alaskan Husky are conveyed in the riveting gaze of his steady, strong eyes. Gentle and reserved, this "silver tipped gentleman" celebrated his 13th birthday on the Iditarod Trail during the 2011 Serum Run Expedition. He passed on Dec 15, 2014. Nephew to Chewbacca, Bacon was shy - but when running at the front of the team was a true and reliable leader. Distinguished by his pink "snow nose", Bacon was especially fond of his brother Grits (deceased), whom he always greeted with a leap of joy and a gentle paw placed upon his shoulder. 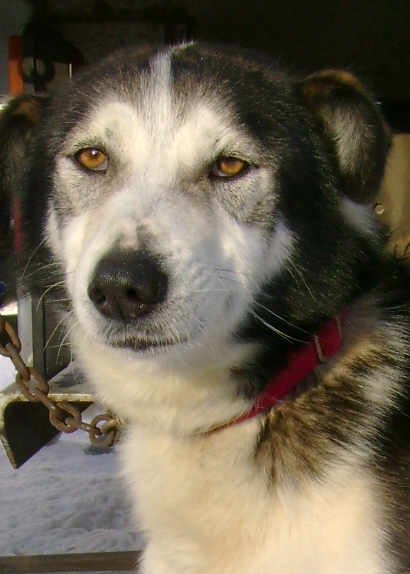 A proven leader with numerous mid-distance race finishes, Bacon played a key role in helping his team of 12 huskies on the 800 mile journey to Nome during the 2011 Serum Run Expedition. Brother to Bacon, snowy white Grits resembled a beautiful arctic wolf with his luxurious winter coat and curious amber eyes. The most responsive command leader from Von's kennel, Grits was a late bloomer who at age seven, emerged as an exceptional lead dog. 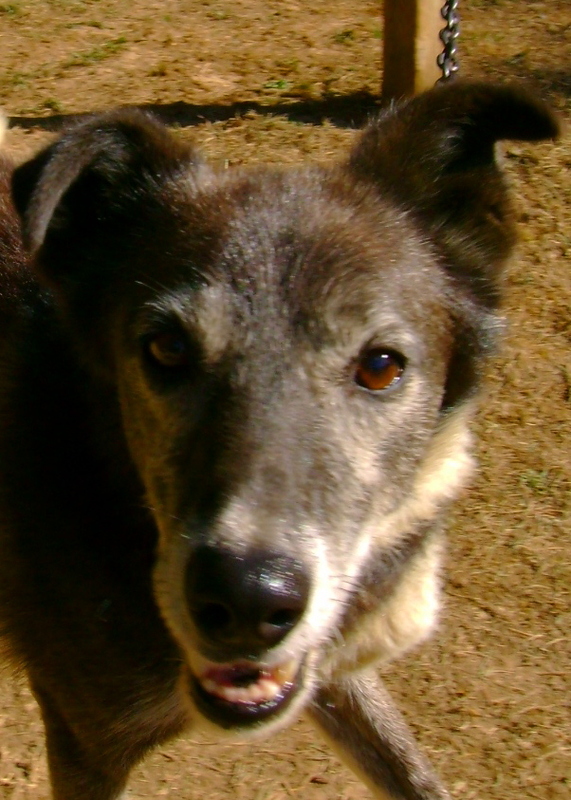 Confident and vocal, Grits was the playful friend of every human and every dog. 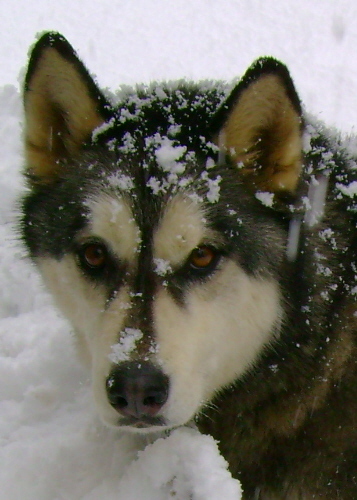 During the 2009 Serum Run Expedition, Grits skillfully led the team of 12 huskies virtually every mile of the run. 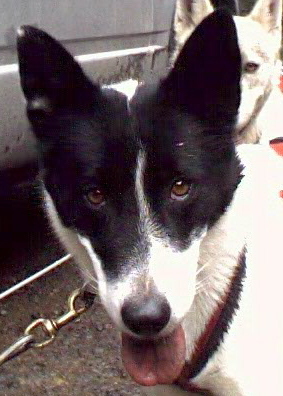 In 2011 Grits returned to Alaska to lead successfully lead Von's team of huskies 800 miles from Nenana to Nome, Alaska. Named after a character dog from Jack London's The Call of the Wild, Teek, was a "Happy-go-Lucky" Siberian Husky rescued as a six month old pup from the county animal shelter. A veteran of the 2009 Serum Run Expedition, Teek enjoyed his Alaskan adventure and was never troubled by weather on the Yukon River, no matter how tough things got! Teek was a joy to have on the team because he was such a happy, affectionate dog who brought cheer to the team. He had a beautiful, luxurious silver-tipped coat and loved to snuggle. Sister to Bacon & Grits, this darling little 43 lb Alaskan Husky was the fastest dog in the team! Able to maintain a blistering trot as fast the boys could run, Tigger was happiest in Swing position but could also be counted on to run in lead. A little shy and very vocal, Tigger was one of the hardest working dogs in the team. She had her very best year during the 2011 Serum Run to Nome, Alaska. Good things do come in "little packages" afterall. This amazingly fast and petite Alaska Husky completed two Iditarod Sled Dog Races - her last one for musher, Laura Daugereau in 2008. She was a member of Von's 2009 Serum Run team and in 2011 reprised her trans-Alaska legacy during an encore run to Nome with the Serum Run Expedition! All this affectionate girl wanted to do was run. When stopping the team for a short break she would scream and leap in her harness to get going again! 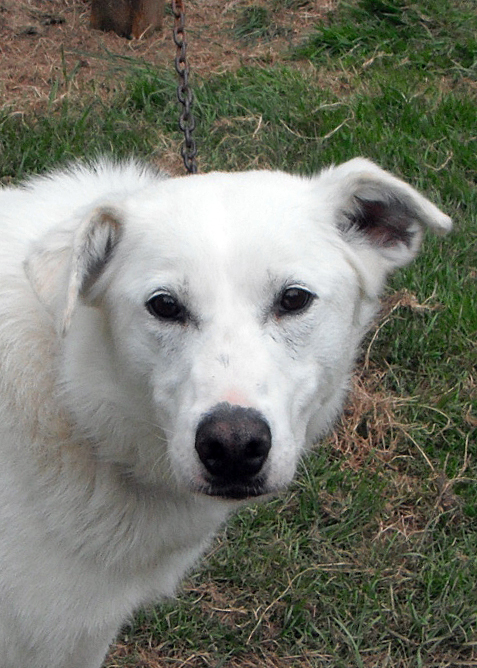 Named after a character dog from Jack London's The Call of the Wild, Pike was rescued from a County Animal Shelter. His early life is shrouded in mystery. 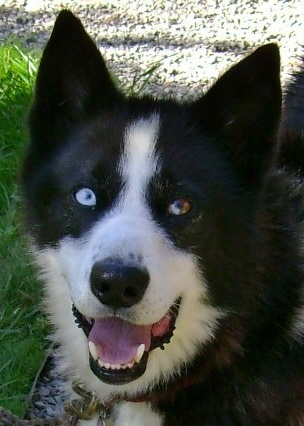 Pike was found wandering on the streets and faced an uncertain future before Von rescued him in January of 2002. Once in harness, this powerful Siberian performed "solid as a rock". 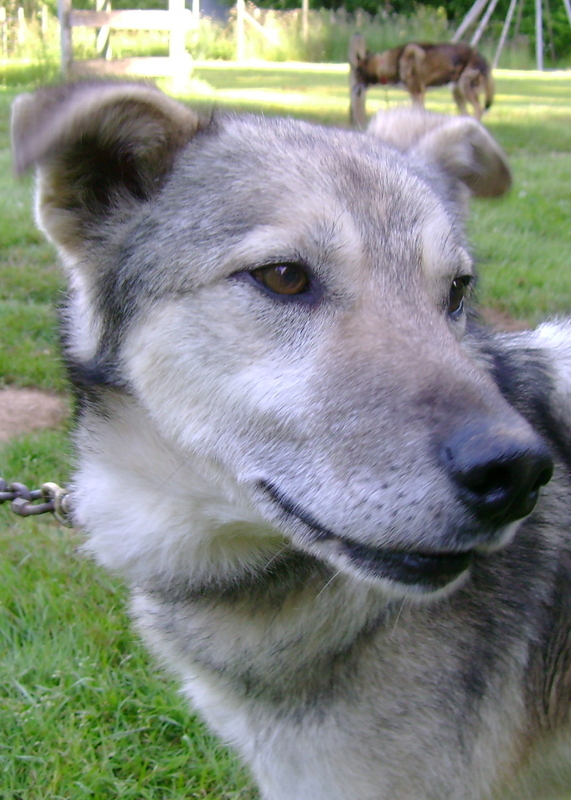 A regal dog with soulful eyes, Pike ascended to the rank of Alpha Male and "Kennel Boss". With a special talent for maintaining order in the kennel by way of his even temper, Pike had "the heart of a lion". 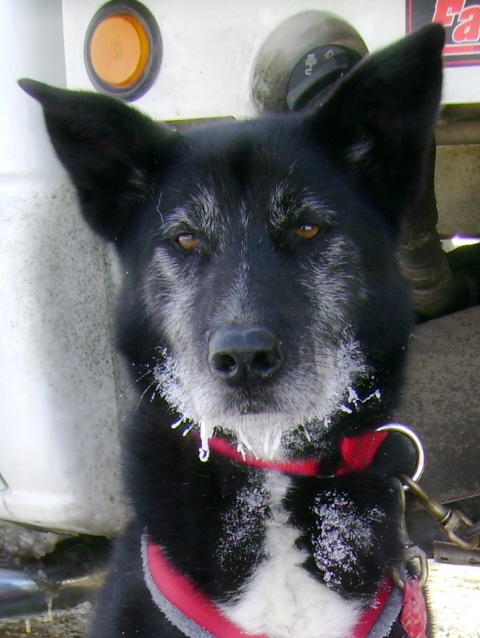 He was a tireless team dog who endured many cold miles on the frozen Yukon River during Von's 2009 Serum Run Expedition. 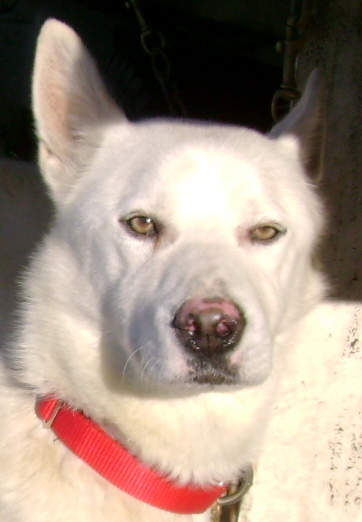 Blackjack - aka "Jack", an Alaskan Husky, was born and raised in Dee Dee Jonrowe's kennel in Willow, Alaska. 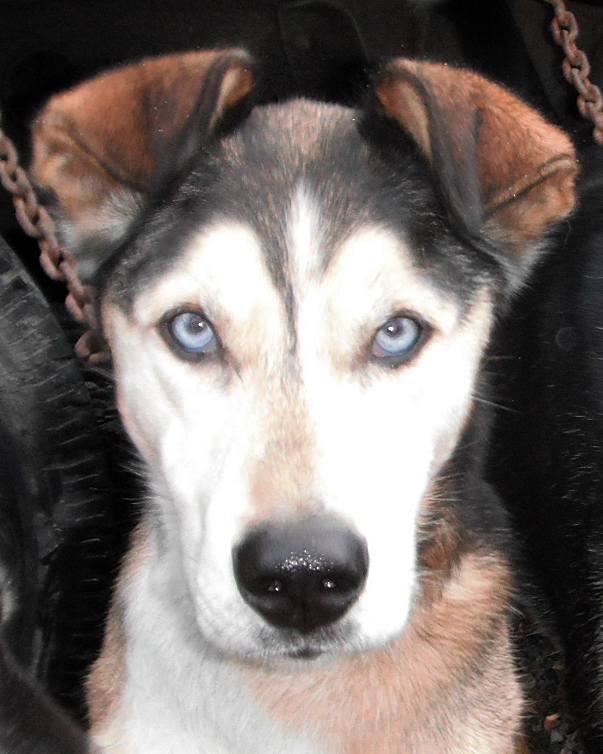 This forever cheerful, hard working boy came to Von's kennel by way of Iditarod musher Rick Larson from Montana. Jack was a real throw back to those wonderful old style "Alaskan Village Dogs" of yesteryear - sturdy, well coated, and just plain hard working! "Jack" was a veteran of Von's 2009 and 2011 Serum Run teams. He is particularly remembered for his great big bear hugs. 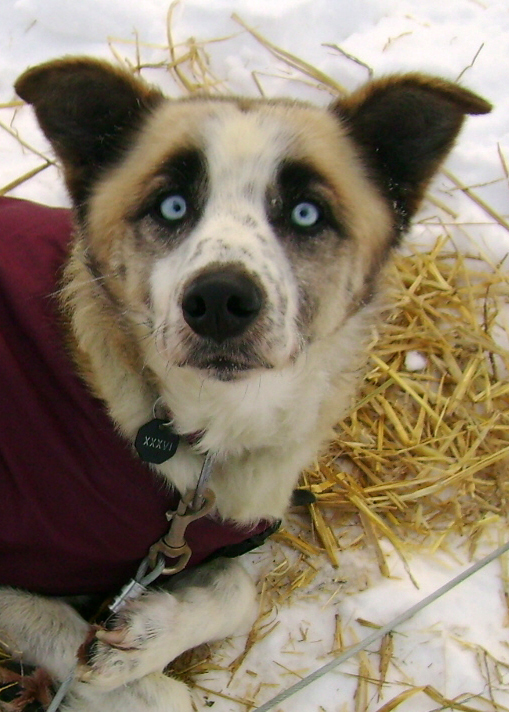 Sporting a gorgeous, wavy "collie-like" coat and the bluest eyes you ever saw, this 2 time Iditarod finisher was also a member of Von's 2009 and 2011 Serum Run Expedition teams. He was the bouncy, playful brother to little Cherry. With his freckled muzzle and heavy arched brows above piercing blue eyes, Birch had all the appearance and personality of an animated Disney-like character. This hard working boy was amazing to watch in harness and playful when the day's work was done! Brother to Birch and Cherry, this two time Iditarod Race finisher and veteran of Von's 2009 and 2011 Serum Run teams was characterized by his serious, "get the job done" personality. 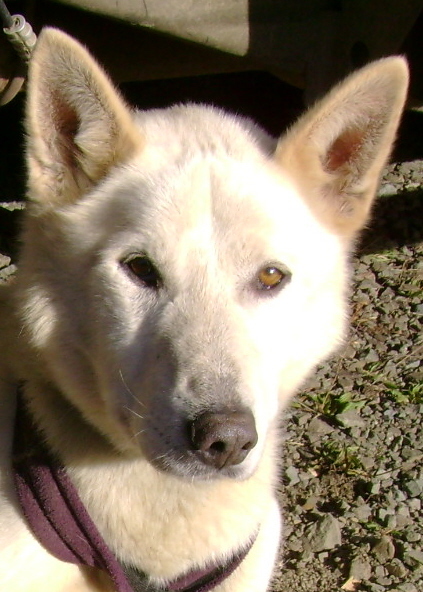 Willow was a wonderful, powerful Alaskan Husky with a reserved personality who led Von's team into Nome. 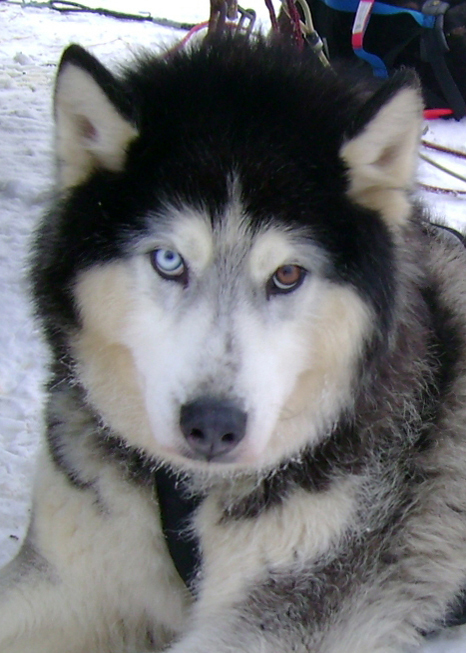 He was raised by musher Rick Larson of Montana who generously "rehomed" him together with his brother and sister so they could enjoy their senior years together in Von's kennel. 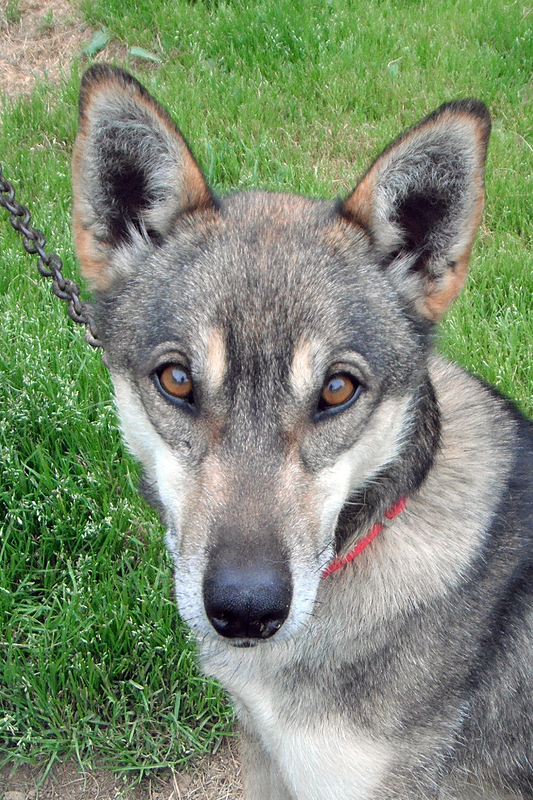 Restless, tireless, and powerful are three good words to describe this large Alaskan Husky with handsome brown eyes. Yet behind that serious face lurks a silly, goofey personality that is delightfully entertaining. Always on the move, even in his kennel, Boomer is one of the first to greet you with his cheerful "Woooo - woo" and wagging tail. As one of the largest and most powerful dogs on the team, Boomer ran in the demanding wheel position, closest to the sled. I've never seen this dog tired! But he was always the first to flop on his back after a hard days work for a nice long belly rub! 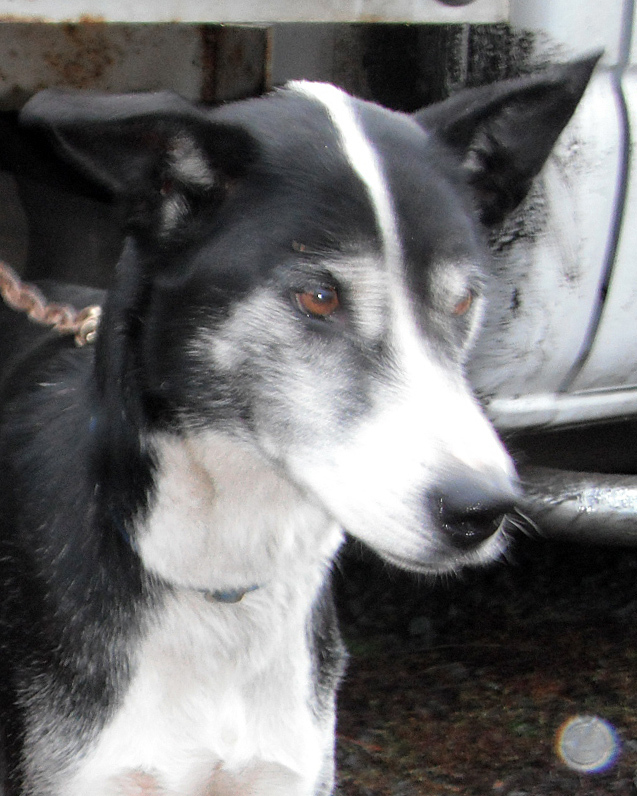 Brother to Boomer, Patrick was born on the Fourth of July 2000 and raised by Iditarod musher Laura Daugereau. 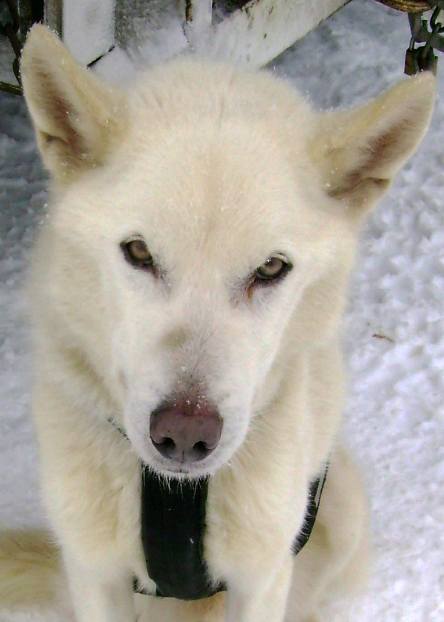 Sometimes misjudged as a wolf hybrid - this all white Alaskan Husky with golden eyes was characterized by a shy wolf-like personality. In harness, he could out perform every dog on the team. Even after nonstop 35 mile runs - Patrick acted like he has only run 35 feet and screamed to get moving again! He was a good boy. Freedom, Storm, Quest, Tala , Kaya , Speedy, Pokey, and Fuzzie - Coming Soon!